The Sufi festival in Rajasthan will take place at Nagaur from 18th - 20th Feb 2019 and Jodhpur on 22nd & 23rd Feb. Click for details and to book your place! Sufism goes beyond religion. It’s a direct connect with the Creator in the quest for personal enlightenment and self realization, transcending churches, temples, mosques and their rituals. It finds expression in mystical poetry, music and dance. The World Sacred Spirit Festival in Rajasthan brings together amazing artists from across India and around the world in a stunning royal setting. The 2019 edition of the festival will once again be held at the breathtaking Nagaur Fort (18th-20th February) before moving to the massive Mehrangarh Fort perched above the city of Jodhpur (22nd & 23rd February). Days and nights of magical music, dance and poetry promise an unforgettable experience. Jodhpur in the heart of Rajasthan was the capital of the erstwhile Marwar kingdom and is famous for handicrafts, curios and durries. The Mehrangarh Fort towering over the city is one of the largest and best maintained forts in the country. This is the venue for the Sufi Festival in Jodhpur. While the festival at Nagaur is more exclusive and accessible only to resident guests, the 2 night event at Mehrangarh is open to a larger audience. Stay at one of our recommended hotels (Bal Samand Lake Palace, Ratan Vilas, Devi Bhawan, Inn Season), see the city and enjoy the festival in the spectacular setting of the fort. Check out the 2018 festival programme. Arrive into Jodhpur where you will be met by our car and driver, and transfer to your hotel. You can take a half day tour through the city and visit the bazaars and the Umaid Bhawan Palace museum. There are plenty of great options for lunch/ dinner, including the Gypsy Restaurant, which does a terrific Rajasthani thali. There's also On the Rocks at Ajit Bhawan and Darikhana at RAAS Jodhpur, both of which are well known for their Indian and international cuisine. Return to your hotel for the night. The action at the festival starts from 7 am and will continue till the early morning hours. Have a hearty breakfast at your hotel, perhaps see a little of the city and then head to the fort at your convenience. Enjoy the Sufi Festival, party till you’re ready to drop and return to your hotel for the night. Attend the last Dawn Concert at the Jaswant Thada. Return to to your hotel. 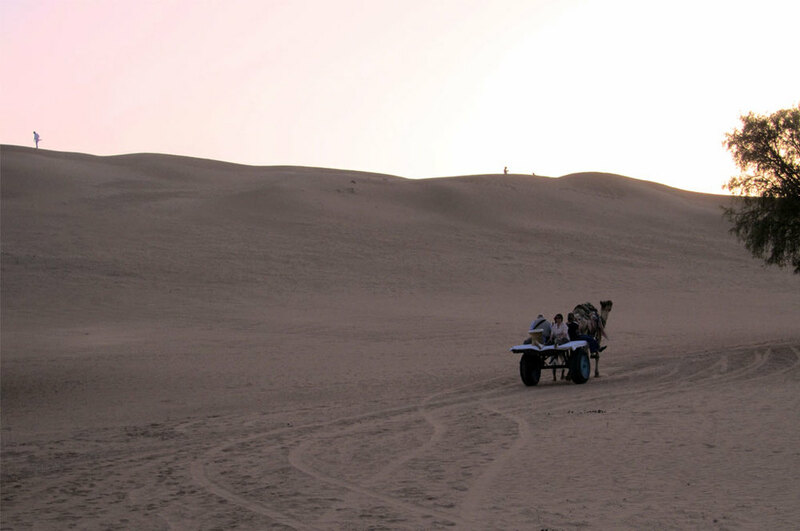 Check out after breakfast and transfer to the airport/train station for your journey home, or extend your stay in Rajasthan with a 2 night package at the lovely Khimsar Fort or the Khimsar Dunes, a trip to the desert town of Jaisalmer, or visit Udaipur- Rajasthan's picturesque city of lakes. Get in touch with us for more options.